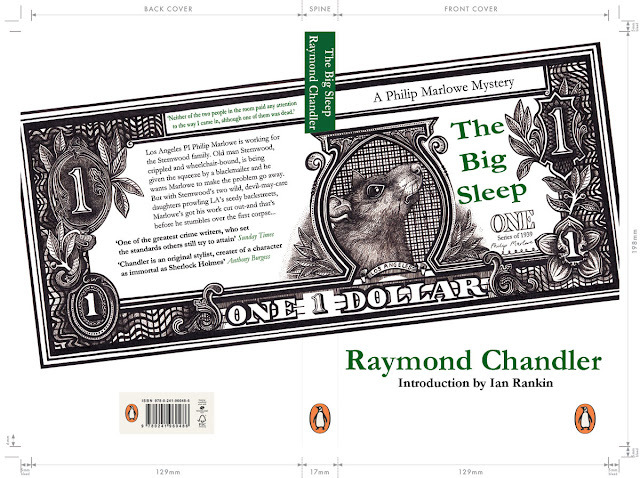 This is my final book jacket for The Big Sleep by Raymond Chandler, created using black fine-liner pen and photoshop. The Big Sleep is set during the Great Depression. Within the novel bribes and murders are committed over money. These factors inspired the use of the dollar as the basis for the book jacket design. The rat symbolises the corrupt American society of the 1930's and its moral degradation, as well as the sinful, seedy backstreets of Los Angeles. I love this! Such a clever idea!